Over the last months, the international community has shed light on China’s repressive policies against ethnic minorities and the massive internment of Uyghurs. On 10 August 2018, the United Nations’ Committee on the Elimination of Racial Discrimination (CERD) reviewed Chinese periodic report on the implementation of its international obligations and expressed serious concerns about Chinese violations of Uyghurs and Tibetans’ rights. 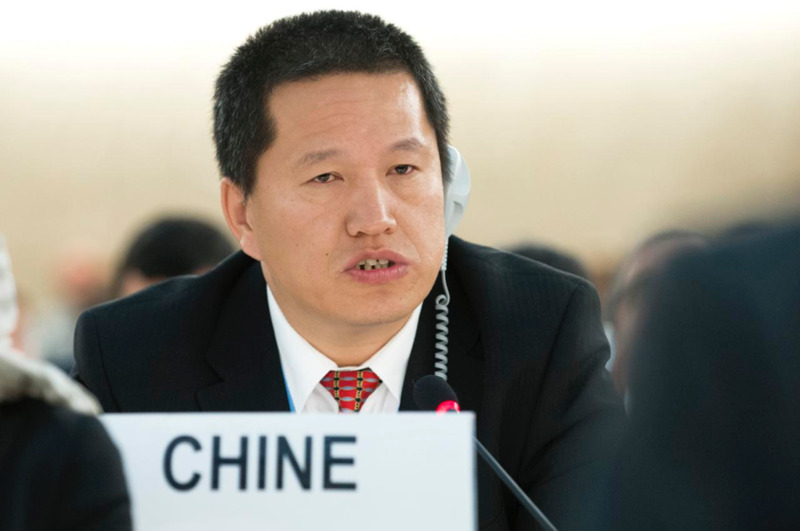 Answering to the UN CERD experts on 13 August 2018, the Chinese delegation categorically denied the claims over mass internment of Uyghurs and refuted allegations of repression against Tibetans. While China is legally bound to the Convention on the Elimination of All Forms of Racial Discrimination since ratifying it in 1981, human rights abuses against the Uyghurs and Tibetans can no longer be hidden behind Chinese official discourse of neglect and denial. Today at the United Nations Committee to Eliminate Racial Discrimination, the Chinese government flatly denied its human rights violations in Tibet and other areas of the People’s Republic of China, instead painting a rosy picture of personal freedoms that left the body of independent human rights experts in disbelief. “To state, as the Chinese delegation did today, that it ‘has taken good care of Tibetan culture and religion’ when more than 150 Tibetans have self-immolated since 2009 is beyond ignorant,” Kai Mueller, Head of UN Advocacy for the International Campaign for Tibet, said at the conclusion of the hearing in Geneva, which began with questions from the experts on Friday, August 10 and ended today with responses by the Chinese government. When referring to Wangchuk’s case, the Chinese delegation admitted that he had been able to meet his lawyers only twice during 28 months in detention before he received his sentence in May. Several times during today’s hearing, Chinese delegation members invited UN representatives to visit Tibet, but in reality, UN experts, diplomats, parliamentarians, journalists and independent experts are systematically denied access to Tibet and other restricted areas, except on strictly controlled propaganda tours led by the Chinese Communist Party. The committee had raised a number of issues with the Chinese delegation, such as the protection of the Tibetan language, the rights of Tibetan nomads and herders and the status of religious freedom in Tibet, as well as the cases of Wangchuk and Tibetan Buddhist teacher Tenzin Delek Rinpoche, who died in Chinese custody in 2015 and whose death has not been independently investigated. The committee repeatedly demanded impartial investigations into cases of torture, ill-treatment and deaths in custody. The committee is expected to publish concluding observations on its review of China by the end of August.